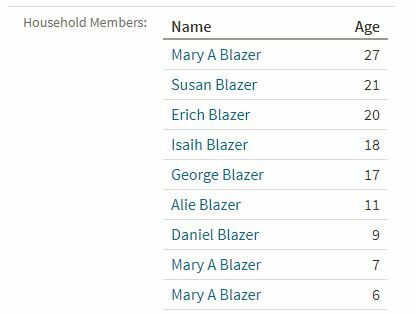 My third great-grandparents were Edward and Mary Ann Brazier and they were from the Black country in an area where Worcestershire and Staffordshire intersect and even overlap in spots. This, along with their slightly unusual surname, make them difficult to find in the census records despite their rather large family of 12 children. We must compliment the transcriber though, on finding all the names in this squishy record! When we look at the handwritten record, we can’t blame the transcriber as the enumerator has recorded the surname as Blazer. 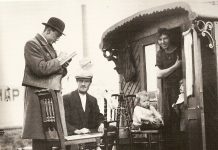 The youngest child, Miriam, has become another Mary A in the transcription as well and Enoch has become Erich. By 1871, only Daniel is left living with Mary Ann. 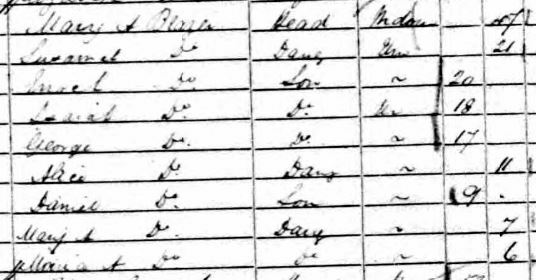 On 2 April 1871, the enumerator seems to have gotten the surname correct but the transcriber has somehow read Beagles. The handwriting is perhaps a little challenging and you can see how the mistake could be made. 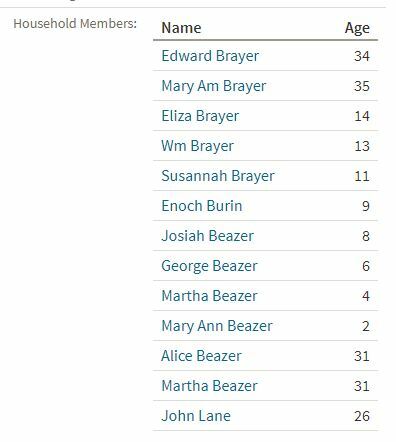 Over the course of four census years, I found my Brazier family transcribed as Brayin Brayer, Burin, Beazer, Blazer and Beagles and, strangely enough, never once as Brazier! You might be wondering how I even managed to find the family in all these records and I have to confess it took me one very long afternoon. Here are a few of my census search strategies you can try if you find yourself facing a similar challenge. Try limiting the information you enter. Place names vary. Handwriting can be mis-transcribed. Ages may be recorded (or given) incorrectly. Enter the bare minimum of information and then examine the results one by one with an open mind. Wild cards are key in a time where many of the population were illiterate and spelling was optional. If the surname you are searching for can be spelled multiple ways then adding wildcards can find all the variants. The question mark ? can be used to replace one letter while the asterisk * can be used to replace any number of letters or none. As an example, Brown* would find both Brown and Browne as well as Brownwell, Brownsmith, and so on. Ev*l?n* would find Evelyn, Evalyn, Eveline, or Evlyn, all spelling and transcription variations of the first name. It is far more likely that a search for Josiah or Enoch will bear fruit than a search for John or Mary. Choose the most unusual of the first names in the family to search for. This method is very useful if the birth place is a small town or village, rather than a large city. If you combine a search on birth place with a place of residence, you can leave out any names or dates which can sometimes pay big dividends. 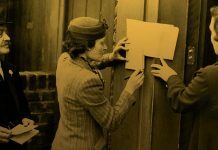 Enumerators and transcribers usually got the names of places right, even if everything else was wrong. When all else fails, try doing a page by page search of where you think the family is living. I’ve had that method work more than once. Search Ancestry with just a place name and then open any record. Start on the first image in the group and search your way to the end. This is how it was done when I first started doing genealogy! The other possibility is that you ancestor was simply missed. 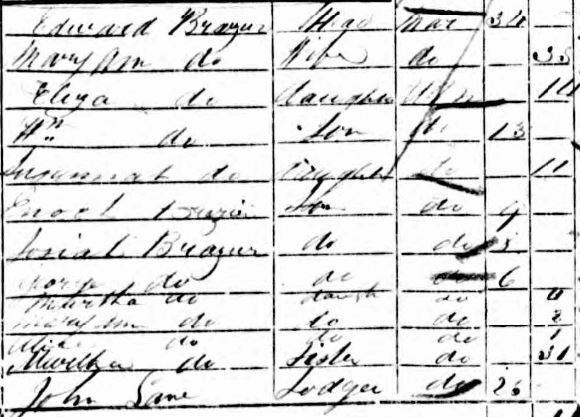 I’ve found sections of streets missing as though the enumerator got tired and went home and there are known missing areas from the various censuses that you can usually identify by doing a Google search for something like ‘missing 1861 Census’. In those cases, look for census alternatives such as street directories to prove where your ancestor was.